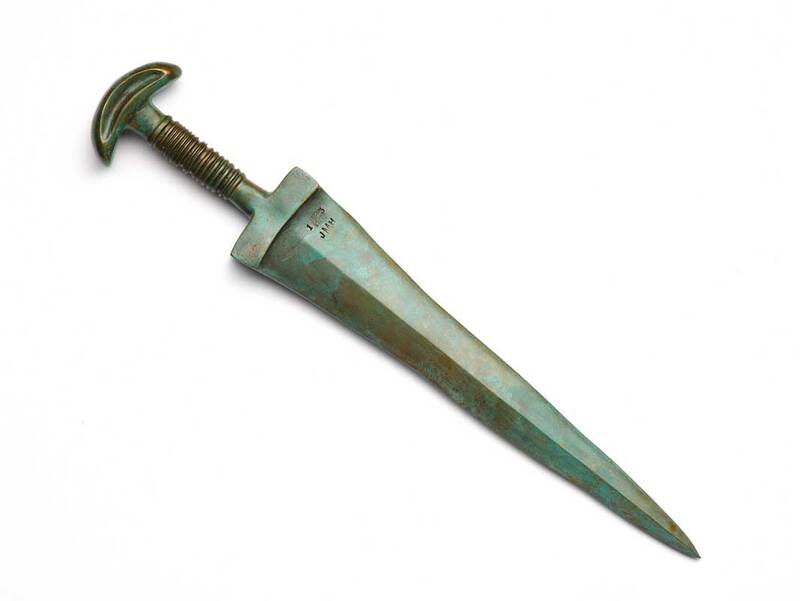 Reproduction large bronze dagger with patina. Ancient Luristan (Northern Persia, now Iran). 18.5".